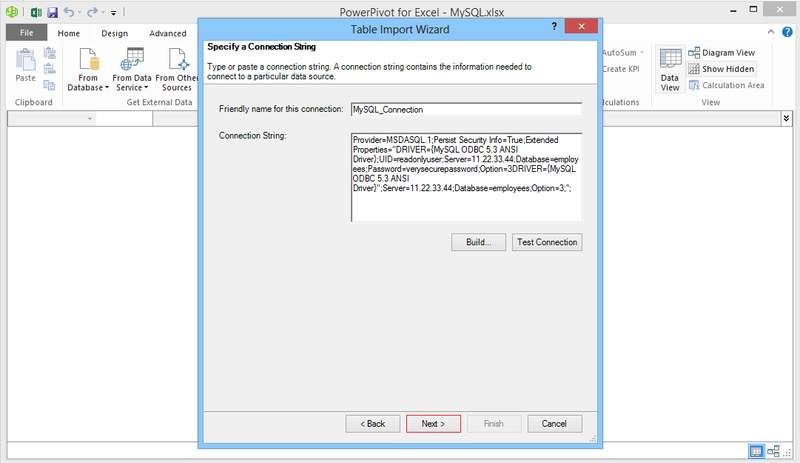 Make sure your MySQL server is binded on public IP address and accept traffic from PlexHosted`s SharePoint app server where your site is deployed, on default port 3306 (port 3306 used for demonstration purposes in this case). 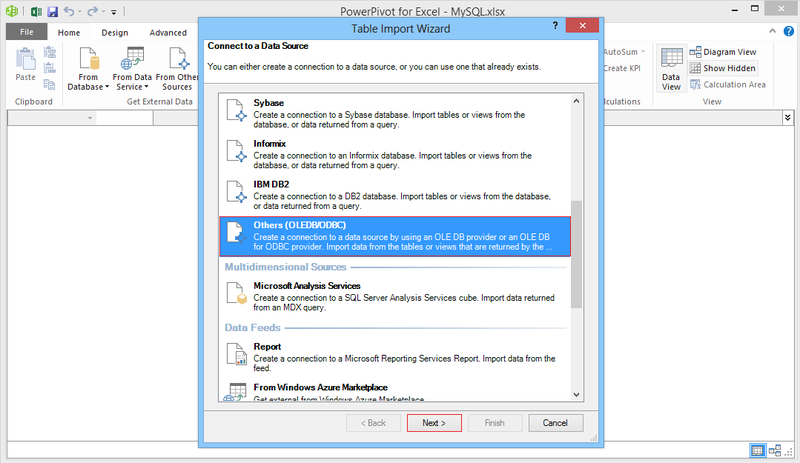 Your Desktop machines which are building excel reports must have permissions to connect to your MySQL server using public IP address. 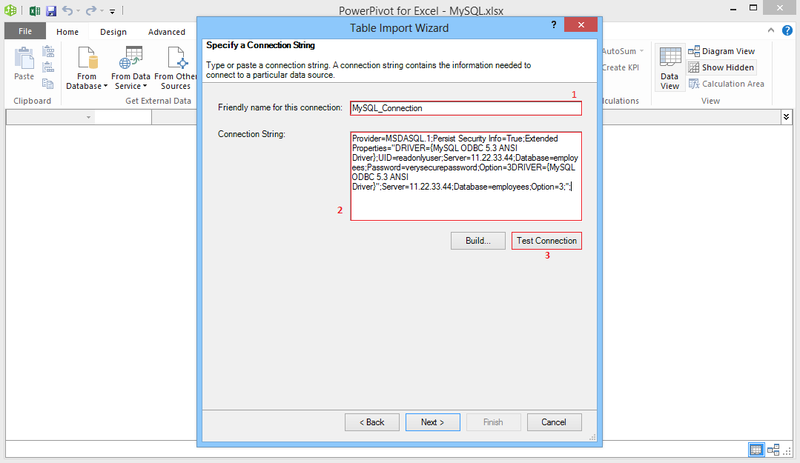 The MySQL Connector/ODBC has been installed on the machine from which you are going to connect to MySQL. You can download and install it from [here]. 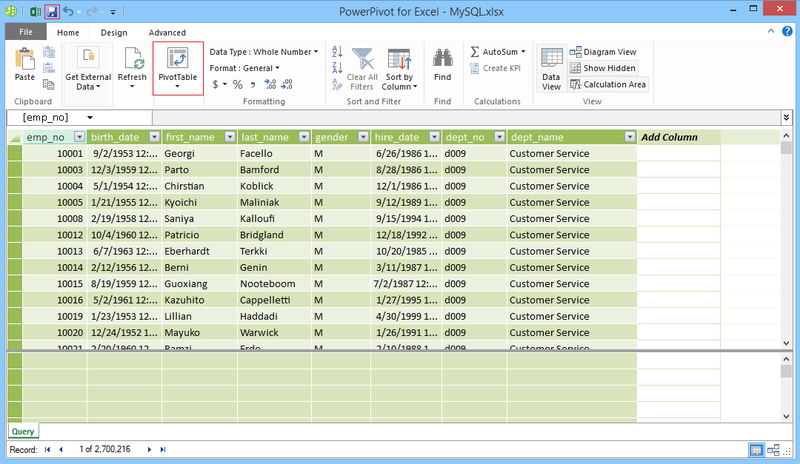 Open the Excel workbook you would like to connect to the database and go to the PowerPivot tab. 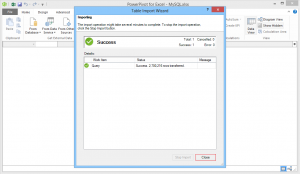 In the PowerPivot tab click Manage. 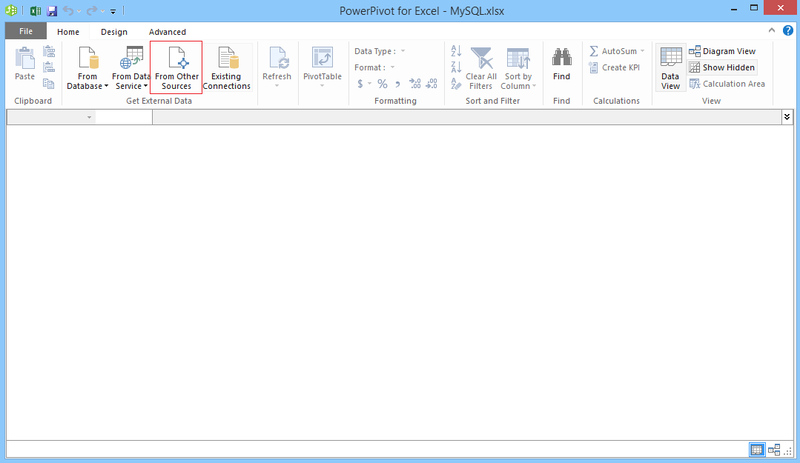 When the PowerPivot for Excel window opened, click on From Other Sources button in the Get External Data section. After entering the connection string click on Test Connection button. Click OK in the connection status window. 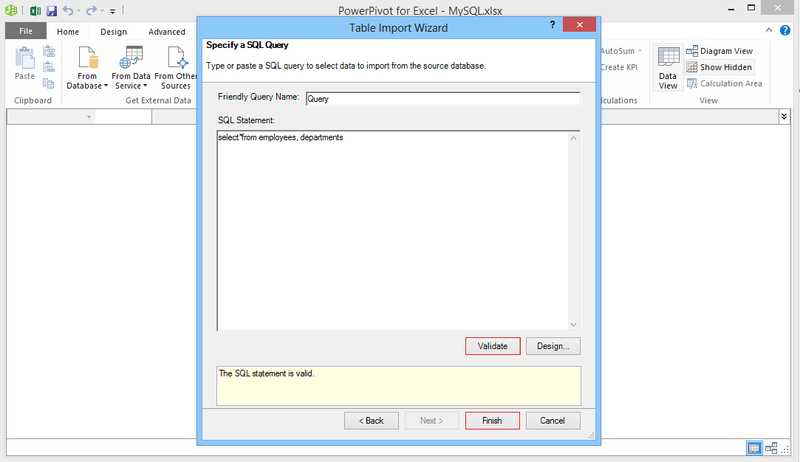 In the Table Import Wizard choose the option Write a query that will specify the data to import and click Next. 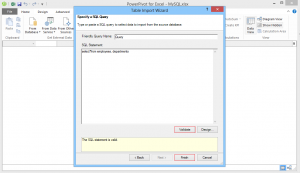 Enter the query to import the required data from the database and click Validate. Once you query is validated click Finish. 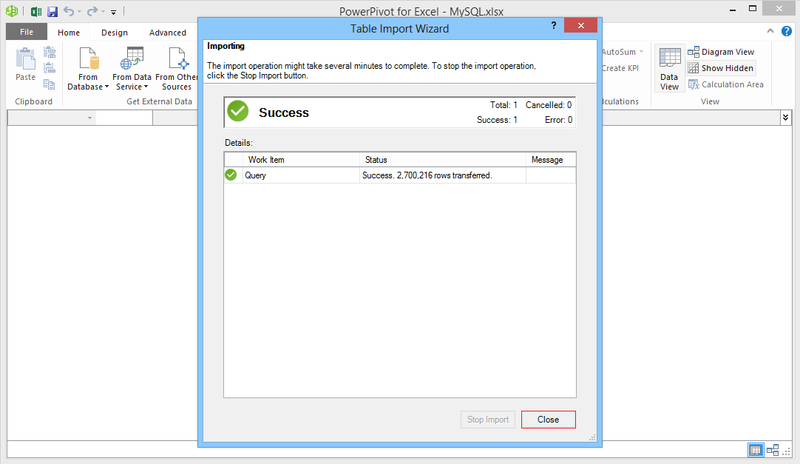 The Table Import Wizard will start importing data from your database to the PowerPivot model. Once the status of the wizard changes to Success click Close. 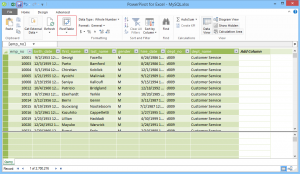 You can see the data imported to the model and can start creating your PowerPivot reports by clicking on the PowerPivot table button. 1. 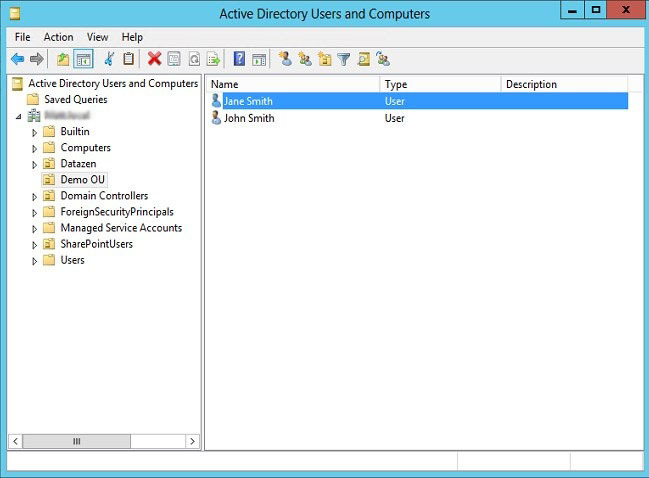 To open Active Directory Users and Computers, click Start, click Control Panel, double-click Administrative Tools , and then double-click Active Directory Users and Computers. 2. In the console tree, click Users or, click the folder that contains the user account. 3. 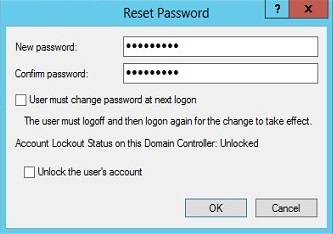 In the details pane, right-click the user whose password you want to reset, and then click Reset Password. 4. Type and confirm the password. Today we’ll talk about integration between SharePoint 2013 site and external non-SharePoint sites. A lot of our customers would like to provide their users with smooth access to specific documents or BI reports directly from external site bypassing default SharePoint authentication settings. By default, there is the only way to share your site with external users – “Anonymous access” feature, which will make your SP site public. But this approach is not very good for security reasons. Besides, this option is quite expensive for sites with SharePoint 2013 Server edition. Now I will show a couple of examples of solution’s behavior. 1. If User Name, Password and Destination URL are sent in URL as parameters, user will be authenticated automatically and redirected to destination URL. 2. If User Name or Password or Destination URL parameters do not exist in URL, user will be redirected to default authentication form. You can change the “src” part to show another part of your site. So, how can you start using this solution? * 1 SharePoint 2013 service with PlexHosted. * If you already have a SharePoint 2013 site you can easily migrate it to PlexHosted. This option is free of charge. If you are interested in this service, please contact us we are online 24/7/365. Sometimes our clients want to hide all signs of “MS Excel” on their BI reports, or just show the report on the full screen. 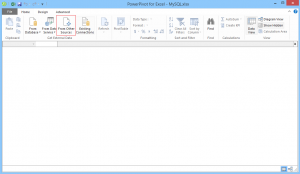 The reasons are different, but in most cases they don’t want end users to know, that reports were made in MS Excel application. After some research and practical attempts we’ve found that this is not possible, even using custom code. The good news are that there is a good built-in “workaround” inside a SharePoint, the bad news – this option is not showing on the site by default. This “workaround” is RSDS (shared data source) connection file. 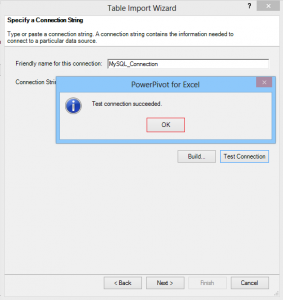 Reports based on the RSDS connections provide all PowerPivot/BI capabilities, but without any signs of “MS Excel”. 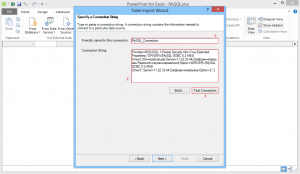 Today we’ll tell you how to enable the RSDS connections and use them to create reports. By default the *.Rsds file content type does not appear as a new item dropdown in the Data Connection library. 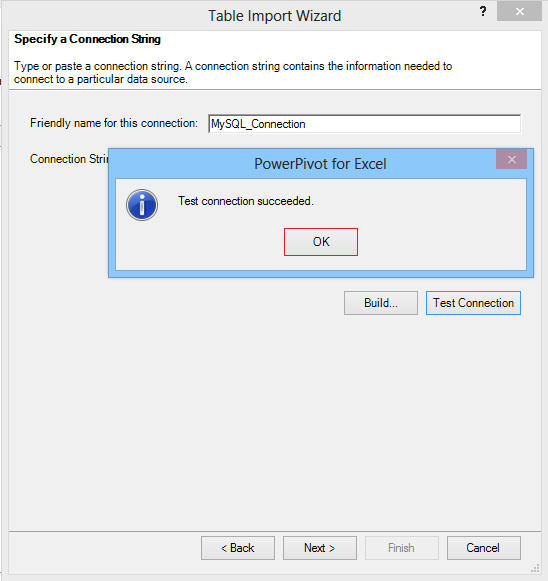 So our first step will be to configure the Data Connection library to include the Report Data Source Content type. 2. Go to the Library tab and click on Library Settings. 3. Navigate to the Advanced Settings. 4. Choose Yes under Allow management of content types, and click OK.
5. Under the Content Types click on the Add from the existing site content types hyperlink. 6. 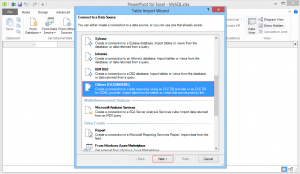 Choose Report Data Source from the available site content types, click Add and then OK. So, the first part is over. We’ve enabled the RSDS connections for the Data Connection library. Let’s proceed and create RSDS connection file. 1. Return to your document library, in the Files tab click New Document and choose Report Data Source. 2. 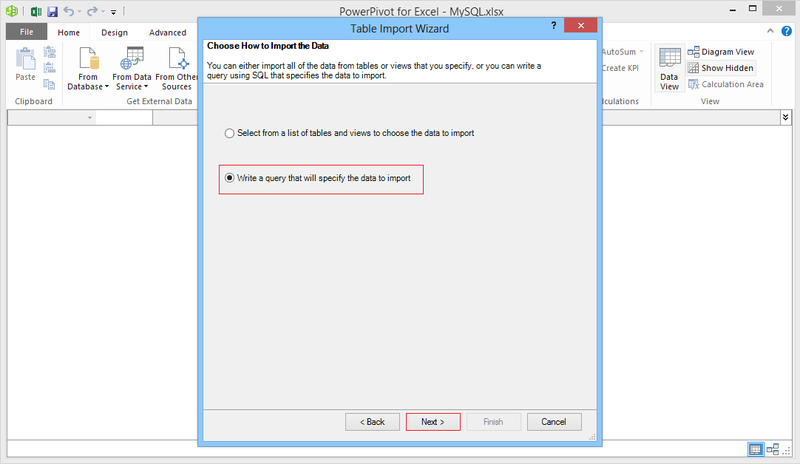 Enter the name for your RSDS file and choose Microsoft BI Semantic Model for Power View from the Data Source Type menu. 3. In the Connection String field enter a pointer to the data source in the following format: (Data Source=http://yourdomain.com/Shared Documents/YourWorkbook.xlsx). 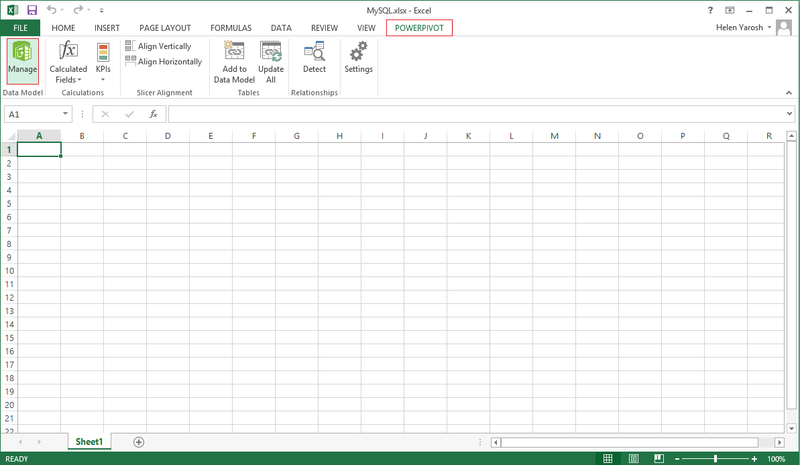 Optional: If you are using a workbook from the PowerPivot Gallery the pointer will be like: (Data Source=http://yourdomain.com/PowerPivot%20Gallery/YourWorkbook.xlsx). 4. 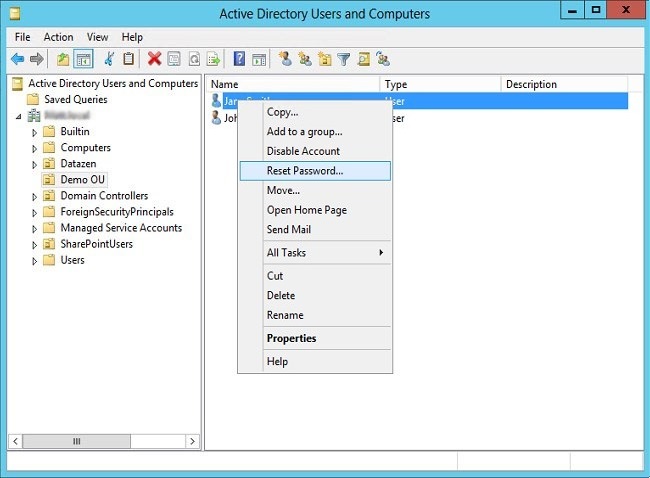 In Credentials leave Windows authentication (integrated) or SharePoint user option selected and click on Test Connection. If connection created successfully, click OK.
5. Now you can see your shared data source (RSDS) connection file. We’ve successfully enabled and created a first RSDS connection file. So, let’s proceed and create our PowerView report. 1. Return to your document library where RSDS connection file was created. 2. 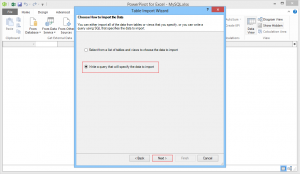 Click on the RSDS connection file to start creation of the Power View report. 3. Customize your report according to your goals. 4. 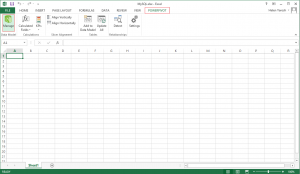 Create your report and click on Save as in the File menu. 5. Now you are prompted to save report to the document library. Provide the name for your report and click Save. 6. Return to the document library and refresh the page. You can see your Power View report created using the shared data source (RSDS) connection file. Hope this post will help you to improve your SharePoint skills.